Keeping the flooring in your home or office clean can sometimes seem like a never-ending battle. When you're searching for solutions for floor maintenance challenges, LoveToKnow Cleaning is a go-to resource you can rely on. 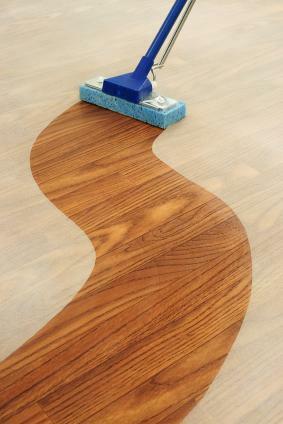 Dealing with stains is one of the most difficult and common maintenance problems for flooring. Vinyl - Learn how to remove stubborn stains from vinyl flooring, including rust stains. Carpet - Find out how to get rid of difficult carpet stains, including those from pets, Kool-Aid and red wine. Various flooring types have their own cleaning needs and challenges. Laminate - Get tips on cleaning Pergo floors and learn how to make your own cleaner for laminate floors. Carpet - Find out how to use Borax to clean carpets along with general carpet cleaning instructions. Wood - Find out how to make your own wood floor cleaner for wood floor cleaning, as well as how to steam clean hardwood floors. Let LoveToKnow Cleaning be your first stop any time you're looking for a solution to your floor cleaning needs. Whether you're looking for everyday cleaning tips, need help with unique problems, or are wondering how to choose the right portable steam cleaner or manual floor cleaner, chances are you'll find useful information that meets your needs each time you visit the site.